Experience the breathtaking sights of Niagara Falls in wintertime with Falls Avenue Resort’s Holiday Magic package, which will give you and your family access to a number of incredible accommodation, dining, and entertainment destinations right in the heart of the city’s tourist district. With the Holiday Magic package, you can stay in direct view of the snowy and spectacular Niagara Falls with a Fallsview room at the 4-Diamond Sheraton on the Falls, or choose amazing accommodations at one of three other Falls Avenue Resort hotels. You and your family will also be connected with one-of-a-kind entertainment and receive four two-day passes to the Fallsview Indoor Waterpark and passes to the Adventure Heroes Laser Ride, Wild Safari Mini Golf, Combat Bumper Cars, and an amazing Magic Show on select dates. And for the best in Fallsview dining, enjoy a Kids Eat Free meal at the Fallsview Buffet Restaurant or Massimo’s Italian Fallsview Restaurant, and Kids Eat Free lunch or dinner. Make this holiday season a truly spectacular one by visiting Falls Avenue Resort and booking your limited-time package today! The amazing Winter Festival of Lights transforms Niagara into a spectacular winter wonderland and illuminates Niagara Falls and the surrounding park lands with millions of sparkling lights and one-of-a-kind light displays. You can experience this incredible festival by driving along the festival route, looking out over the illuminated Falls from floor-to-ceiling windows in a Fallsview guest room, catching a spectacular fireworks show right over Niagara Falls, or visiting Dufferin Islands to take in the magnificent Canadian Wildlife light displays, which include three-dimensional moose, bison, geese, bears, deer, and more! 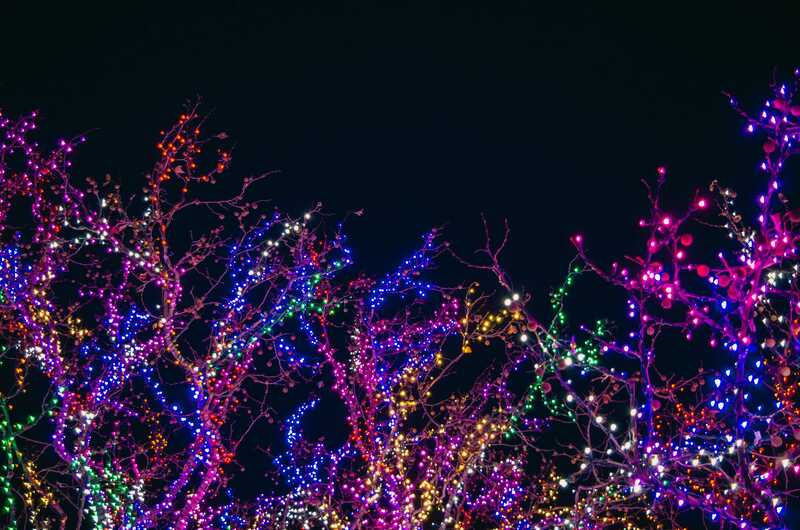 There are also beautiful lights to be seen in the Fallsview District, and in the Lundy’s Lane Battlefield Park. Winter is an exciting season to visit Niagara Falls, and the Winter Festival of Lights is a beloved tradition that adds sparkling beauty and all-ages fun to every getaway experience.